The theme that's coming up in my conversations this week seems to be 'fear' and how it can hold us back, or at least slow us down from the things we want to. We know it, it's frustrating, and yet it persists. Oh yeah, I had a coach once who thought the way to deal with it was to help his clients move so fast that fear doesn't have a chance to catch them. I laughed but I was also kinda surprised that anyone would fall for that—it looks to me like the very definition of a dog chasing its tail. Sure, you can outrun fear, but only in the way a tail outruns a dog. It's always ahead of you but it's never going away—until you see it's a tail and then you can decide whether that's the game you want to play, or whether you'd rather play a more interesting game like chasing a ball, or chewing a bone. What Is 'Fear' Made of? When I ask, people will usually associate the fear they're feeling with something real—it's a fear of success, fear of failure, fear of being seen. It looks as if the fear is entangled with a set of circumstances and we need to either learn how to manage the feeling, or we need to change the circumstances to get rid of the feeling. What if, though, the circumstances and the way we feel are separate, and unrelated, processes in life and—in the same way that seeing that he is chasing a tail, not another dog has an immediate and calming effect on the dog—seeing that our focus on the feeling is simply a focus on the feeling, can release any tension and has an immediately calming and productive effect on us humans. Yes, we have habits of thought and habits of action and we can get confused about how they link together. I was in LA a few weeks ago and (forgive the bathroom analogy!) the toilet roll holder was on the opposite side to the one I have at home. Time after time, I reached out the wrong way. Sometimes I laughed at myself, sometimes I was a little exasperated and sometimes I didn't have much of a thought about it at all. The reason I experienced that LA bathroom slightly differently each time was a function of my mood—of my thoughts and feelings in the moment. It was absolutely not a function of the position of the toilet roll. What I didn't do was make those feelings or that experience mean anything—either about me (for mis-remembering where the toilet roll was, for being forgetful, an idiot, or whatever...), or about the toilet roll holder for being in the wrong place, or even about the landlord for his brazen disregard for my well-being and clearly intentional attempt to wind me up. No, my experience was absolutely not caused by me, my circumstances, or anyone around me. I simply had a habit of behaviour and it was obvious to me that my behaviour would change all by itself. It had nothing at all to do with how I was feeling, I didn't have to change my feelings, and I didn't have to change the position of the toilet roll holder in order to protect myself from an undesirable emotional experience. 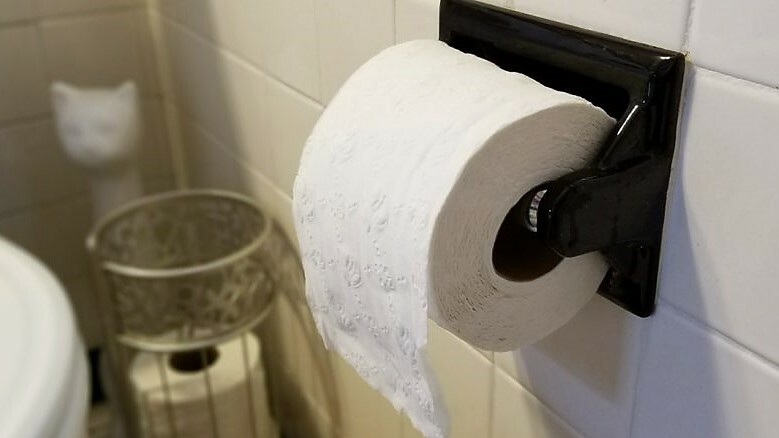 There was, in fact, no need to do anything, beyond remembering where the toilet roll holder was positioned—and, surprise surprise, remembering something that is true happens without any effort at all. This is exactly how it works with any set of circumstances—we can take the action that occurs to us (reaching for the toilet paper) without needing to stress about, or attend to our feelings—they are simply background noise that comes and goes, is sometimes present and sometimes not. This is exactly how it is with 'fear'. It might look as if there is a connection between the situation and the feeling, but there isn't. A feeling can arise randomly, or it can come because we're in a pattern of thought. If I'm in a pattern of self-judgement, sure I might get all judge-y about not remembering where the toilet roll is. But the judgement is coming from my pattern, not from the toilet roll. The toilet roll isn't triggering me, it isn't responsible for how I feel, and—importantly—I don't need to change anything at all about the toilet roll in order to stop judging myself. It's much easier (and more effective) to laugh it off as what it is—a random thought—and focus on what’s actually important in life. Understanding that any mood—annoyance or fear or even those good moods like excitement—will pass as quickly as it arrives, and setting our feelings aside from how we make decisions about what we do is the only sensible way forward. Hmm, doesn't sound like such a great idea when you put it like that now, does it? You do not need to connect your actions to your feelings. Full stop. The more deeply you can see the truth of that, the less you'll want to do anything about your fear, and the more you'll be able to focus on the actions that create what you want in your life. And, sometimes, like me, you'll forget. When this happens, and I remember again, I usually laugh at myself.